2008 marked the year that HalloWeekends were retired at Dorney Park, replaced with a bigger and better (and scarier!) 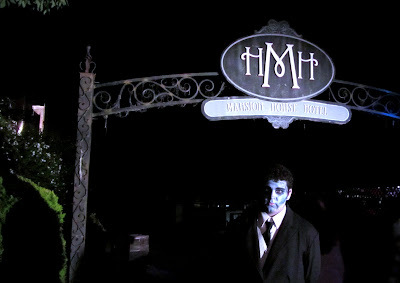 event, Halloween Haunt. Over the past four seasons the event has grown, churning through new haunted attractions, entertainment, and probably about a billion gallons of fog juice. And in all that time the park has been able to perfect the craft that is a good scare - lucky for us! The 2012 Haunt is the park's fifth, and the bloody V attached to the logo is by no means the only way the park is celebrating. This year there's new entertainment, a new scare zone, and two new haunts. Talk about a nice anniversary present, how sweet! 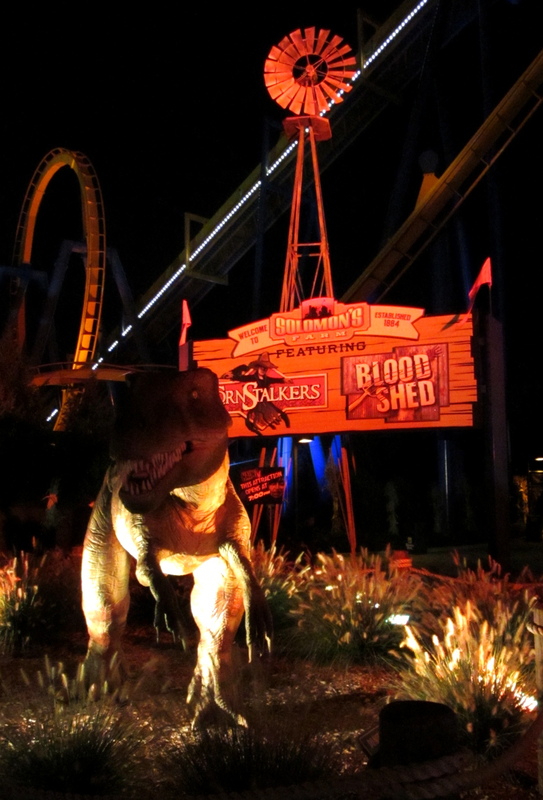 Before the new, we need to take a look at the old, as many of Dorney Park's haunted attractions have seen changes this year. Some larger than others, they're still keeping the mazes fresh for repeat visitors - and the park has plenty of those. The Mansion House Hotel is the park's elaborately themed creepy hotel haunt, with a story tied to the very beginnings of Dorney Park. Great of the park to include its history like that, I'd have to think that Solomon Dorney would approve. 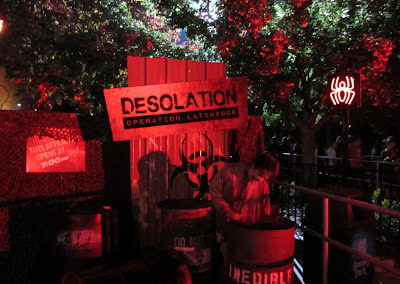 This year the ending of the maze has an entire new room, as the photo opportunity has moved on to a new haunt. The characters in the Mansion House take full advantage of that space, along with all the nooks and crannies of the 10,000 square foot house. Above are two of the ghouls, and congratulations are in order as it is their wedding night! 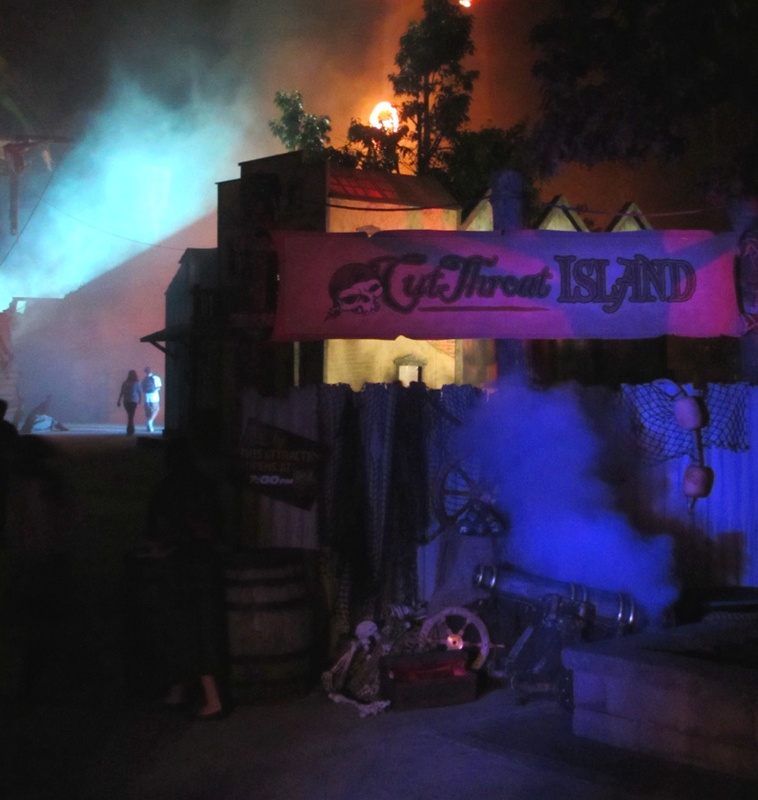 Across the park in the large plaza in front of Hydra, Cut Throat Island has once again taken up residence. 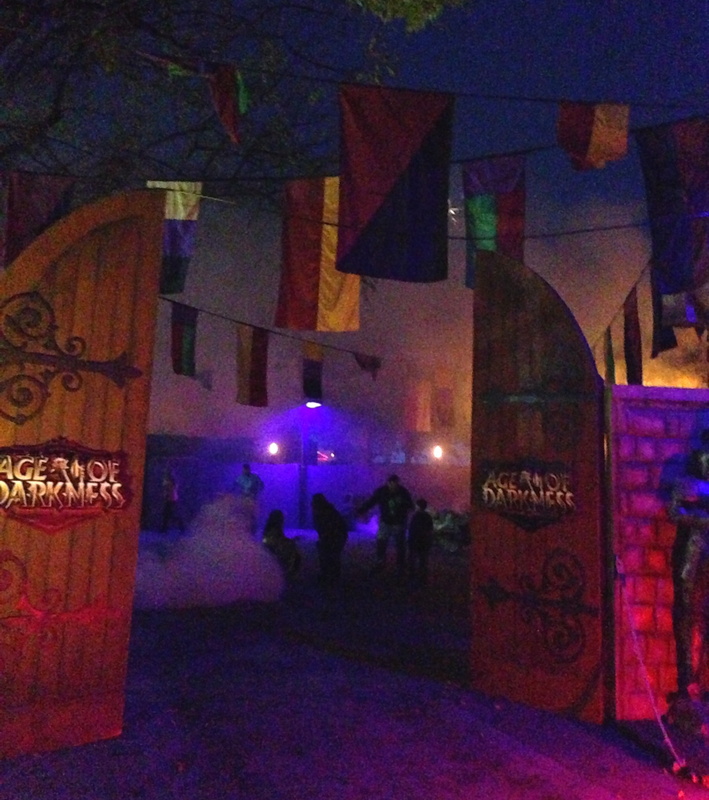 The fog filled scare zone is all about crazed pirates, merfolk, and the occasional sea creature. With no set path, guests are able to freely wander the area, encountering all sorts of nasties along the way. 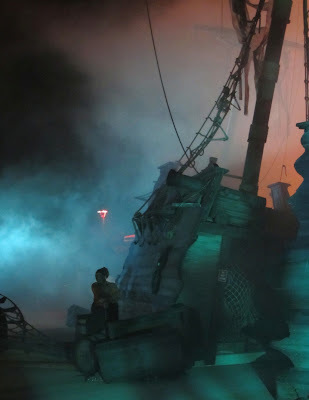 Unfortunately most guests aren't brave enough to head in between the pieces of the gigantic broken pirate ship and the entire town facade that is present. It is in that fog filled darkness that the real scares take place. There's tons of hiding places among the wreckage, and you can be sure that the cast knows each and every one. The lower section of Dorney Park has a stream that runs through it, for those of you not intimately familiar with the property. Why care? 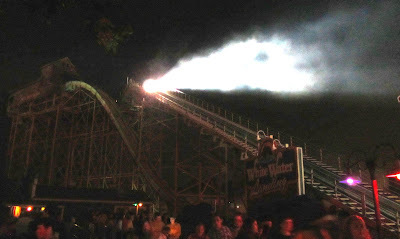 Because during Haunt the valley and stream hold onto fog wonderfully, filling the lower areas with a thick layer, obscuring views of pretty much anything. Add a little humidity into the mix and you've got some great scare conditions. 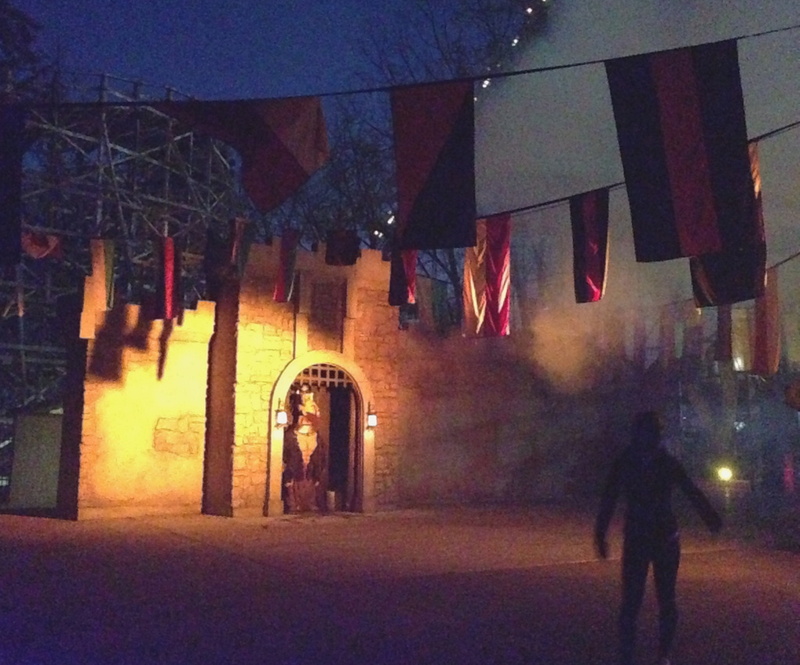 In the lower park near Thunderhawk is Age of Darkness, a look back at a very dark period in the world's past. While not much has changed since last season, Age of Darkness still excels in having staff that really get into their roles. If you happen to meet any of the Queen's minions they'll be sure to warn you of her ways - she sounds like quite a lady. The area's paths are cloaked in fog and lined with real flame torches, a nice touch. When you arrive at the castle seen above if your timing is right you'll get quite a scare! 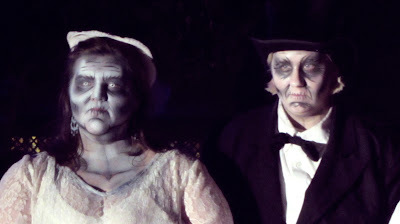 The 2011 Haunt saw the addition of Gravewalkers, which was a bit of a surprise hit for the park. This year the park has taken an already successful maze and tweaked it so that it is even better! 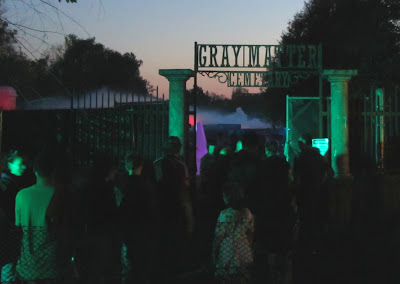 Gravewalkers starts with an enormous graveyard with no set path, and this year they've set it up so that guests are forced to walk all around in order to get through the area, with no clear direction to head in. Naturally while you wander around trying to decipher exactly where to go there are hordes of zombies stalking you. There's fresh graves all around, with plenty of headstones as well. I have to love the above zombie and tomb stone above, a bit of a tribute to a staff member who recently moved on to greener pastures in Ohio. Oh, and you can't possibly miss Mr. Ouimet's tomb stone, it's by far the largest one! But I digress. Once you make it through the first section you have to enter the tombs, a tight space filled with ghouls. It's nearly impossible to see what's coming next in the section, making things even more dicey for visitors. I think if I could work anywhere in Haunt, it would have to be the body bag section, just perfect for hiding! I also noticed an increase in roaming characters this year - more sliders, random monsters, and elaborate costumes than I've seen before. Above is a really great duo, a crazed and bloodied marionette master with his latest creation by his side. 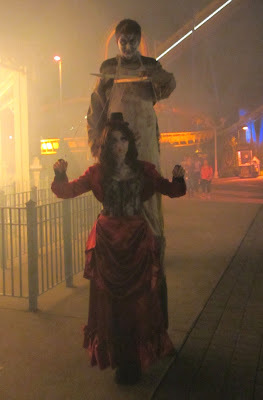 The stilted character makes for great photo opportunities, so I had to take advantage. The classic fear of clown fits in with pretty much every Haunt around, and Psycho Circus is still filling that role at Dorney's Haunt. The decorations outside the building set the tone, with the nutty looking clown silently cycling back and forth on this high wire. 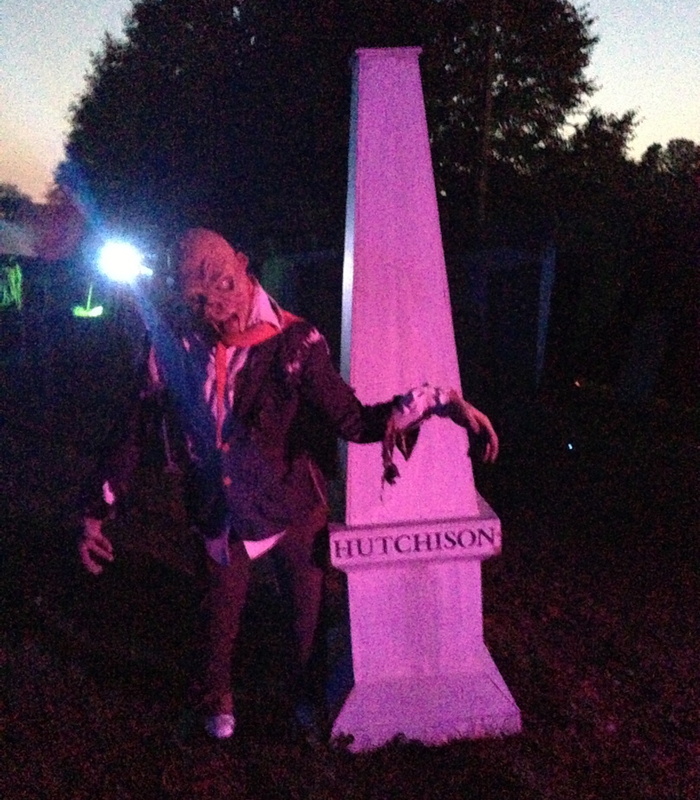 Additional returning haunts include Death Trap, CornStalkers and the Asylum. These have also seen modifications this year to keep them fresh - CornStalkers for instance is longer than ever before, now expanded into the Thunder Canyon plaza area. But what about new stuff, you ask? Fear not, (or more likely fear... a lot) the park has you covered. This year the entrance to Wildwater Kingdom has been more cohesively themed as Solomon's Farm, the home of both CornStalkers and the brand new Blood Shed. Out in the fields, which are filled with screams, the ghouls of CornStalkers hunt their prey, but at the farmhouse something much more terrible has taken place. 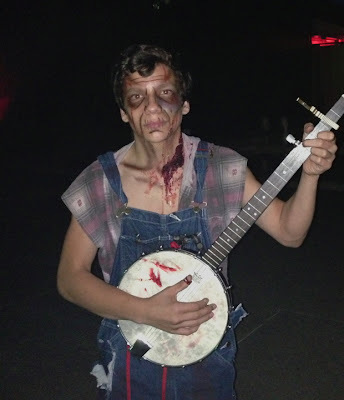 The once peaceful farm has been invaded by Otto and Cletus, a pair of sinister rednecks that took over the property and did some pretty nasty things to the former residents. I don't care what the package may say, do not eat any meat that is processed on Solomon's Farm! The trip through Blood Shed includes the family's house, now covered in shotgun shells and with a kitchen absolutely crawling with cockroaches. Sick! The recneckery continues as you travel out back, past the permanently parked RV, Christmas decorations, and one heck of a rabid dog. The journey ends with a trip into the barn, where the truth of the farm is revealed - and the 'blood' part of the Blood Shed starts to make sense. Sausages, anyone?! In 1952 a disastrous event occurred in a small secluded town in Pennsylvania and has been on government lockdown ever since. Those who survived have been subject to secret experiments, illness, food shortage, and rumors of a government cover up. Do not enter or you may become one of the infected. Yow! Sounds intense - and the experience matches the description. 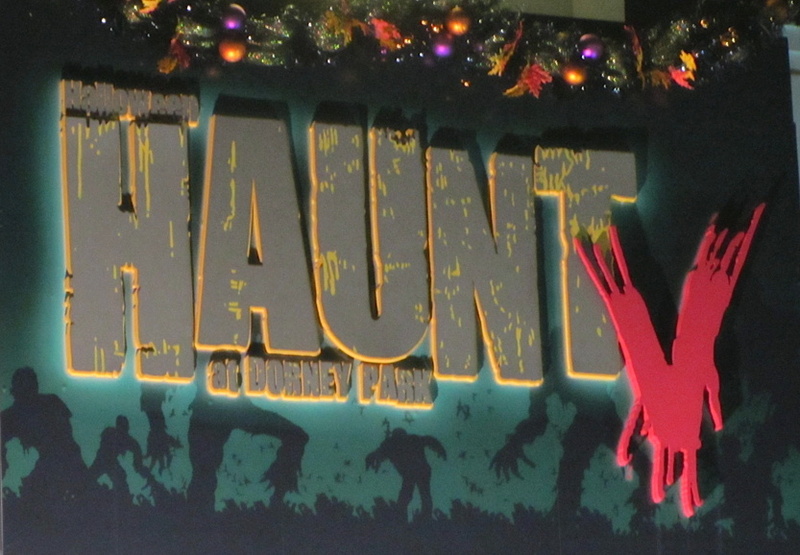 The haunt starts by using the space underneath White Water Landing as a full military zone, I mean they really went all out on this one. There's tanks, lookout towers, gunfire (live, not recorded), open flames, screaming military employees, etc. There's a panicked feel as you head through the outdoor portion, which includes some of the ruins of the former town as well. 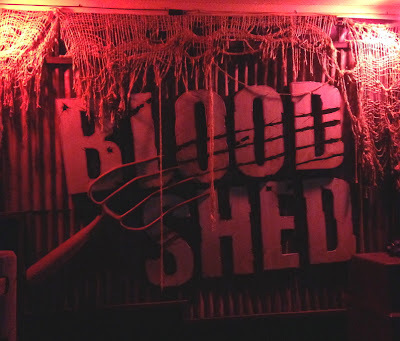 Guests end up entering the building that used to hold Club Blood from the backside amid smashed remains of cop cars, and once they enter the quarantined town it becomes clear just what has been happening to them. Experiments are the least of everyone's worries, as the infected are trying to take over and causing quite a mess. If you're afraid of spiders, you'll hate the ending! Haunt V also features some new live entertainment, mainly Blood Drums. 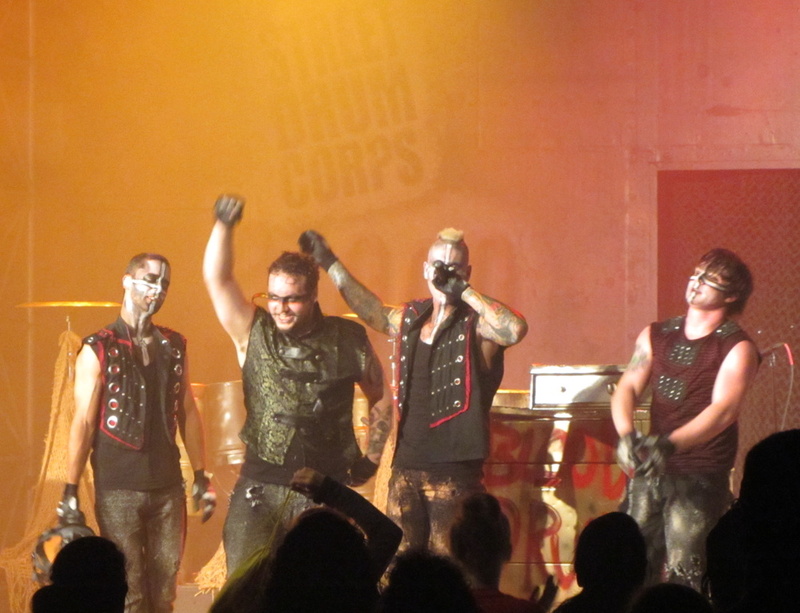 The show has been opened at most Cedar Fair parks this year as part of the Halloween celebrations, and at its core it is a street drum troupe that uses odds and ends to play on, creating a loud, somewhat violent show. The show is high energy to say the least, and the pace keeps viewers entranced by the beat. And where else can you see a grinder used on an old stove, creating a trail of sparks high into the air? 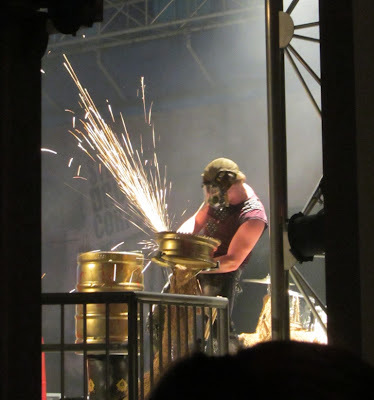 This year also sees the return of Eternal Jamnation, a live song and dance review by the morgue medical staff, and Cast in Bronze, featuring the haunting sounds of the Carillon. 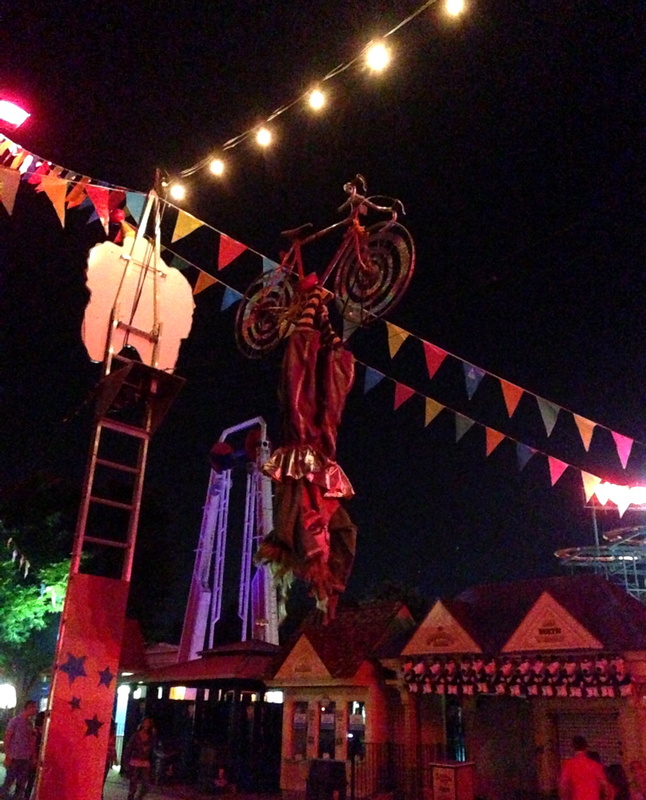 Aside from all the haunts and entertainment, many of the park's rides are open for guests. If screaming when a ghoul runs after you isn't enough, you can take a spin on Steel Force, Talon, Hydra, Stinger, and plenty more. So that's it! Haunt V is certainly worth checking out, if you go check out the park's official website for all the details ahead of time. It is amazing to see how far the event has come in a relatively short time - I mean Knott's Berry Farm is celebrating their 40th anniversary this year! 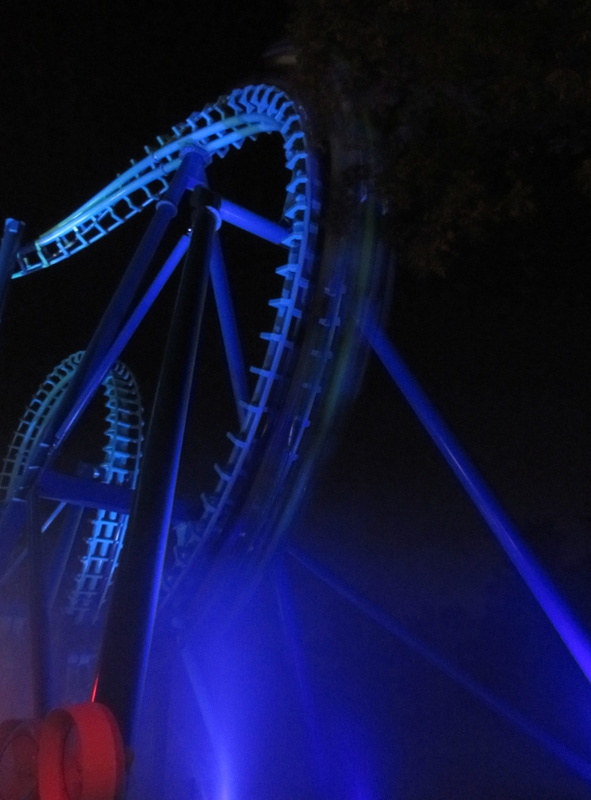 Here's to five more years of fears at Dorney's Haunt!